Pioneering vegetarian food writer Rose Elliot hones her characteristically warm and engaging narrative style to share her fascinating introduction to Buddhism. Having never truly been convinced on the idea of single specific spiritual practice – despite an unusual childhood growing up in a commune and being a granddaughter of a Medium – Rose discovered Buddhism much later on in her life and now she shares her positive experience and how it may benefit you too. Part autobiography, part self-help book, I Met a Monk forms a series of workshops, structured into eight chapters that cover the weekly discussions held between a Buddhist monk, Rose and a group of men and women, where they talk about the Buddhist way to finding happiness, freedom and peace. Beginning with an introduction to mindfulness meditation and the simple core tenants of the Buddhist philosophy, the book introduces the Four Noble Truths that Buddhist teaching is based on, and how they appeal to life in the 21st century and hold within them everything we need for a happy and fulfilled life. Each chapter ends with a concise summary of the important points and recommended exercises to build a working knowledge of how to put Buddhism into practice. 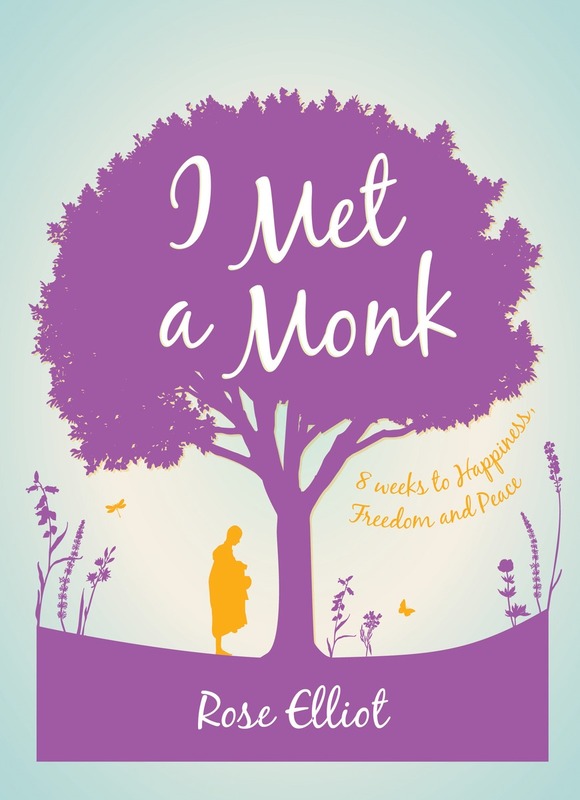 The monk’s down-to-earth attitude and witty humour is both charming and inspiring and, throughout, Rose masterfully weaves in her own reflections of her spiritual upbringing and the queries and thoughts from the group as they progress through the weeks and learn how to incorporate mindfulness and meditation into their daily lives – including questions and answers on the Buddhist way of life, dealing with anger, depression and bringing up children.